Here's another rerun post from 2009. It is still on of my favorite little projects and if you have the materials on hand it would be a great indoor-stay cool project for the kids while this horrible heatwave hits most of the country. 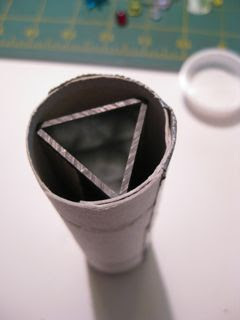 Today I did a project that I've always wanted to do... making a Kaleidoscope. 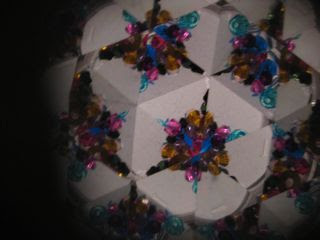 It was a really fun and quick project- I've never made one before but I was able to work out the details and have the actual kaleidoscope made all before work this morning. This project would be suitable for older kids (with adult supervision). If you wanted to make this with a younger child they could choose the beads that go inside and decorate the outside tube (and it goes with out saying that this is not an under three project because of the small parts and tiny beads). While I was making this it seemed like it would be a fun thing to do at a kids party. 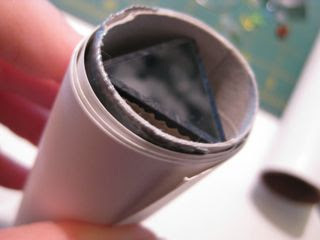 One mailing tube with plastic caps for the ends (it should be slightly smaller or about the same size as a TP tube). 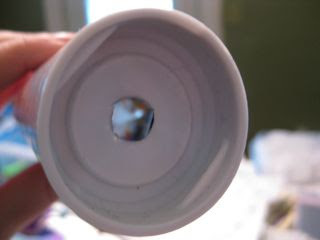 Three mirrors or an already assembled prism toy that is smaller than your tp tube. A handful of beads, bits, and cool things. 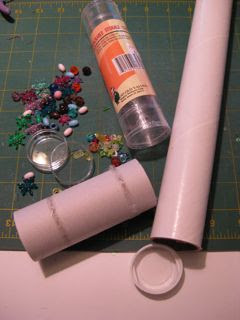 One sheet of decorative paper or stickers, and markers. 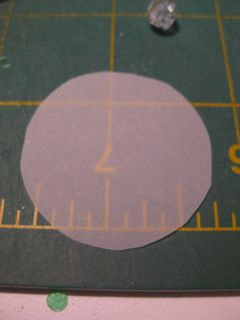 A scrap of vellum (big enough to cut out a circle the size of your mailing tube). 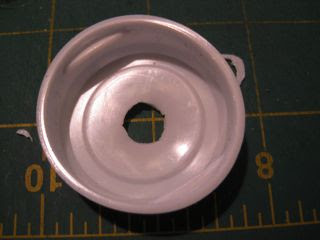 Optional- Glue that can be used on plastic. I didn't make mine I purchased it ( they sell them as toys) and took the decorative paper wrapper off (mostly since I was taking pictures of it) but you could make your own easily. 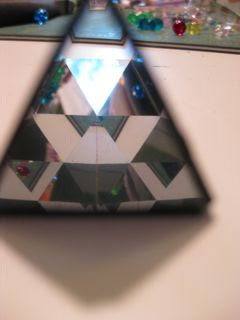 You would need three mirrors about 1/2 inch wide x 3 inches long, taped together to make a triangle. 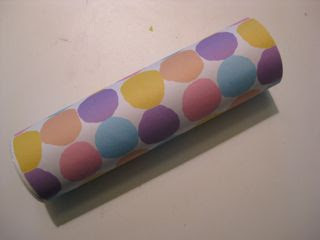 Then I rolled the tp tube in cardstock until it was thick enough to fit snugly into the mailing tube without jiggling around. 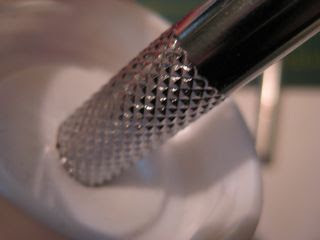 Once I had this done I traced the bottom of the clear container on the vellum and cut out a circle. 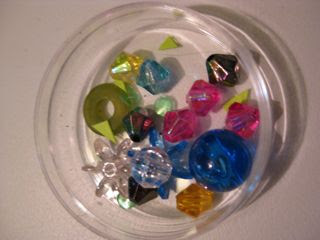 Then I filled the container with beads, bits of paper, and even some scraps of soda bottle plastic from Monday's project. 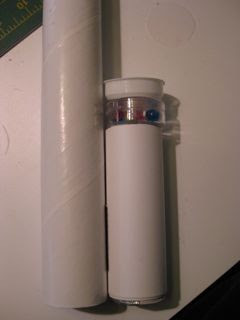 I noticed that the mailing tube seemed long- I lined up the tp tube, the bead container, and the plastic cap to estimate the length I needed. 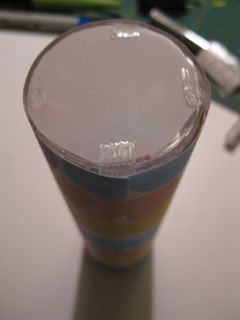 I made a pencil mark all the way around and used a craft knife to cut the mailing tube down to about half the length. 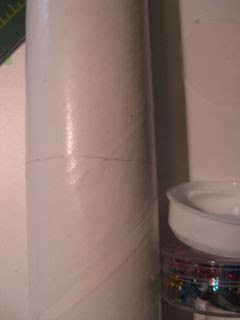 I put the tp tube into the mailing tube and stuck the plastic container on the other end. It was at this point that I realized that the lid on the container could easily come off and spill beads everywhere (ask me how I found that out, it may have had something to do with beads flying all over the studio... maybe). 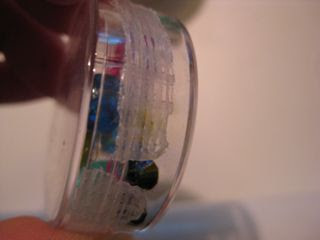 So I took the container back out of the tube (picked up all the beads I could find) and decided to tape the edges closed (you could use plastic glue here too). 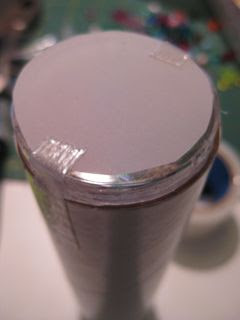 Then put it back into the end of the mailing tube and taped the vellum onto the top (you could also glue this- it would look neater- but the tape worked fine). 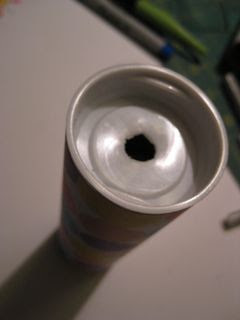 Last- but a very important part of construction for the finished kaleidoscope is to make the eyepiece. I used one of the plastic caps that came with the mailing tube. 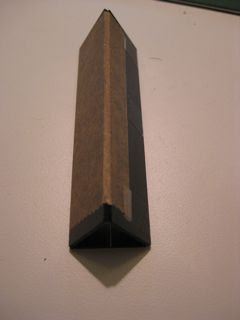 With a craft knife I made a hole, then used the end of a paper craft tool like sandpaper to smooth it down a bit. 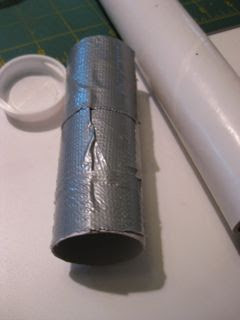 To finish I covered the outside with decorative paper. You could also cover it with white paper and use markers, stickers, and paper punches to decorate. It works great, and was so much fun that I kind of want to make a few more! 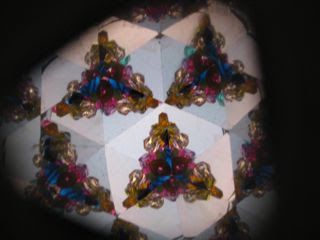 It's also got me thinking how neat it would be to make some holiday specific kaleidoscopes. What a great tutorial! Fun for busting the summer boredom AND they would make precious b-day party favors! I would love for you to hop over and share this (and any other awesome tutorials you have) on my mommy solution meme! Amazing. My girls would love these. 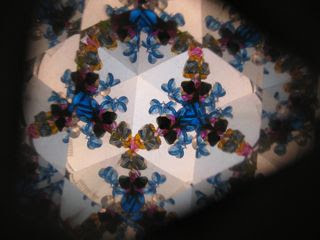 I would love for you to stop by http://diyhshp.blogspot.com/ on Monday to link up your kaleidoscope and any other projects you would like to share. I do not believe you did this! We have been trying to figure out how to do this forever. We have one that allows you to look at your surroundings and they are magically turned into the most beautiful splintered designs! We had the idea of making one for photography - but getting good quality - didn't happen. So at least now we can take out mirror triangle further and make one for fun! thank you so much, Meg. Thanks Crystal, Jaime and Pam for you wonderful comments. I'm glad you liked this idea!